The star of Mia King's "entertaining"(Seattle Times) debut novel Good Things is back-and she's got a full plate. Deidre McIntosh is everyone's favorite go-to person. She seems so successful, so capable, so just plain perfect, with a popular cooking show, her own line of cakes and cookies, and an ideal relationship with Kevin Johnson-considered one of the most desirable men in Seattle. 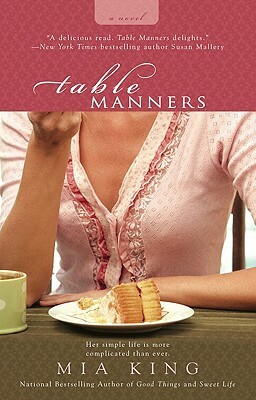 Mia King is the national bestselling author of Sweet Life, Good Things, Table Manners, and Family Room. She resides in Hawaii with her family. "King's fun, witty, recipe-spiked sequel to Good Things (2006) is so charming, readers will be delighted."